Since it's raining (again) and I'm slacking on my blog posts (again), I thought I'd start using my blog to offer tips and advice! So let's start with a big one. The number one, most commonly asked question: WHAT DO WE WEAR?!? I'm going to focus on newborn sessions for this one, as there are some unique issues that make these different from other family sessions. Here we go! Families: keep it simple and neutral. Neutral clothing in mostly solid colors works best for in-home lifestyle sessions. Think mostly white, gray, cream, beige, and muted pastels. Darker neutrals (like denim, navy or black) are fine too but I prefer light colors on top. I don't mind a small pattern either as long as its not overwhelming. Outfits shouldn't match, but usually if everyone sticks to a neutral color palate it all meshes together well. And barefoot work best for indoor shots, so don't worry about shoes! OK Moms, you just made a miracle, but you probably aren't feeling that way! My number one recommendation is to give yourself a little grace, and take time before the session to relax and focus on you if possible. In terms of clothing, I think the universally most flattering options are either a flowy tunic top with leggings/stretchy waist paints, or a loose fitting (or empire waist) maxi dress. Dads, most of you don't care what you're wearing, but if you do, remember to check with your wife and make sure what you've chosen coordinates with what works best for her! Generally speaking, a solid or non-distracting patterned button down top with slacks or jeans is a good choice. Kids are happiest in comfy clothes y'all. I generally suggest mom chooses her outfit first and coordinates the kids' clothes with that style. So if mom has a dressier outfit, kids can wear their Sunday best (unless its not comfy! ), but if mom is going more casual, let kids wear their cotton basics and untucked shirts. Again, keep it simple and avoid anything complicated (big headbands, bowties, graphics, big logos, or anything that needs to be constantly adjusted). In the age of Pinterest, I know how easy it is to want to do a million different cutesy things with any number of outfits and props. And I get it, the pictures are so cute. 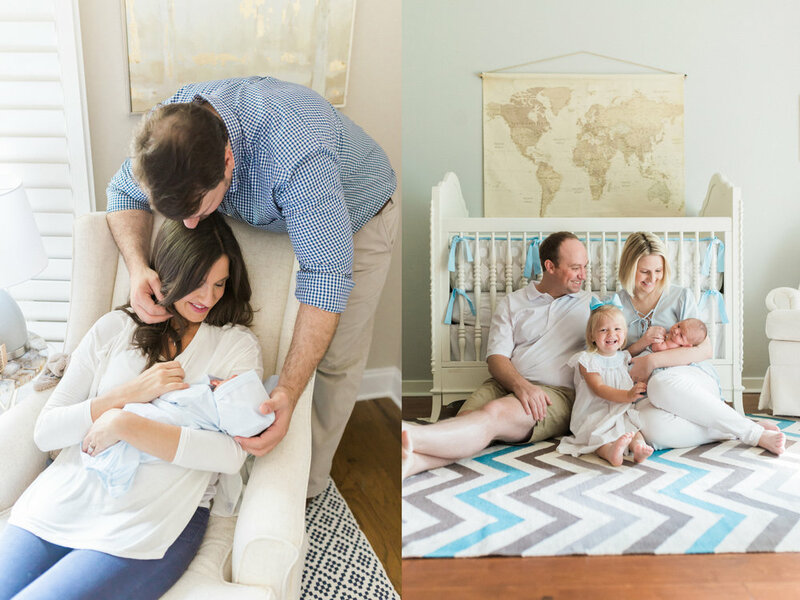 But if you chose me as your photographer, you probably booked this session not because you wanted to play dress up with your baby, but because you wanted to capture those moments of pure love your family shares together. Because of that, I prefer neutral swaddles for newborns (I bring these with me), and an optional neutral onesie or daygown for family pictures. (Two clothing changes max is also best to avoid baby becoming overstimulated). 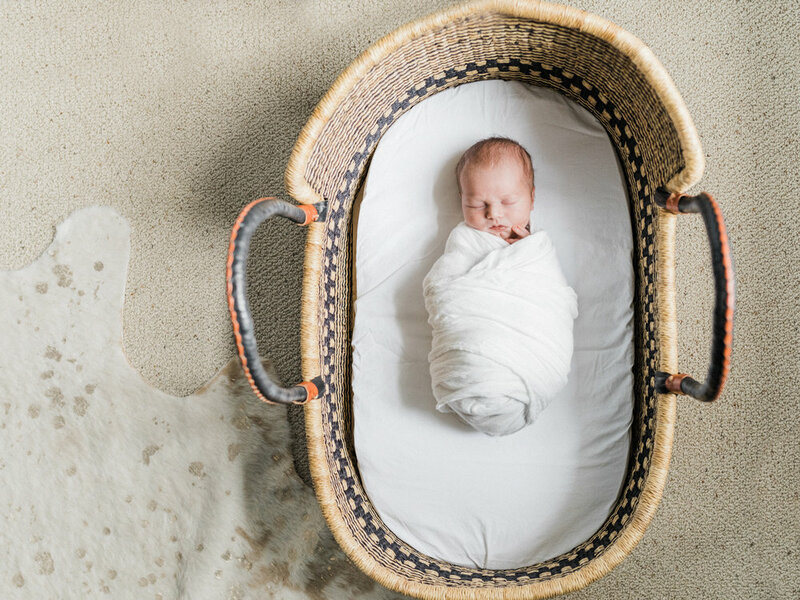 If you have a special item (like an heirloom outfit, handmade blanket or toy) that you would like to incorporate, let me know! But make sure the item is meaningful to you, to ensure the images we capture are classic and timeless. 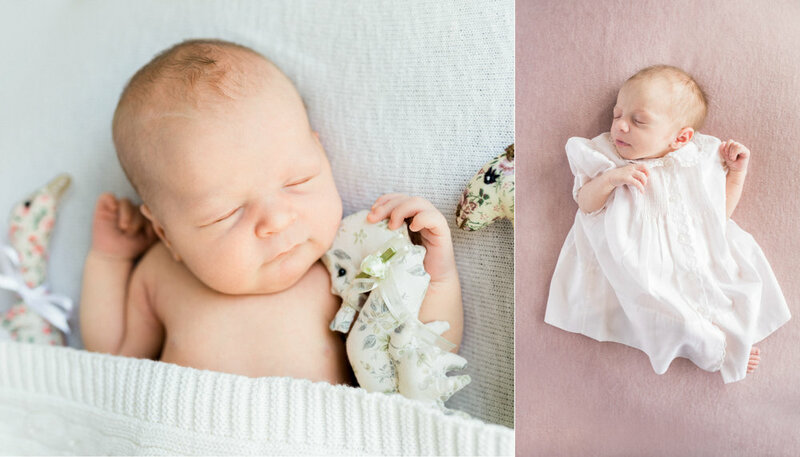 Check out these precious babies, in a special Moses basket, in an heirloom dress, and holding loveys handmade by a family member.